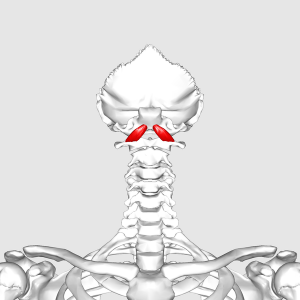 The Rectus capitis anterior is a short, flat muscle, situated immediately behind the upper part of the Longus capitis. It is also known as Obliquus Capitis Superior. The muscle receives blood from the ascending cervical artery, which is a small branch of the inferior thyroid artery from the thyrocervical trunk of the subclavian artery.